I was recently on vacation with my 2 girls. And each of their iPhones. I survived the flight and many nice evenings out in restaurants with my newly (perfectly) behaved children. Now, you may think that is utterly ridiculous OR... you may understand because your children have their own phones/ipads/computers. I am aware that, as with everything else in life, these phones are a double edged sword. They are a fabulous distractor in times of need. You have games and videos at your fingertips. But user beware, they are HIGHLY addictive to all toddlers. Well, apparently I am not alone. 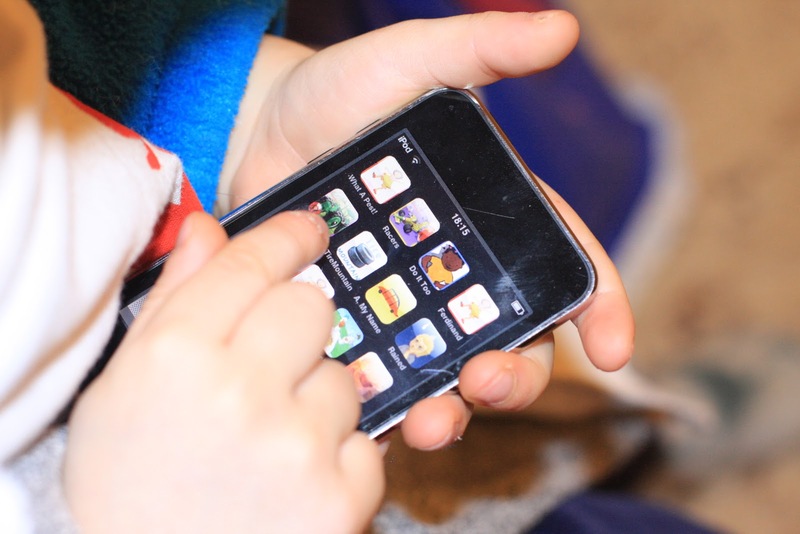 There has been a flurry of recent articles in the mainstream media about children using technology. The bottom line is even the most expert psychologists don't know whether to tout the iPhone as a fabulous learning tool for children or something more sinister. USA TODAY: "Parents Worry About Toddlers Tiny Fingers Itching for iPhones"
NY TIMES: "Toddlers Favorite Toy: The iPhone"
But, the real point of this post is to say that I am on board with iPhone "learning", because for me, now, there is NO TURNING BACK. So, instead, I will impart my "research" into the best Toddler and Preschool Apps, so you can learn from all of my searching and wasted monies. Works on counting, colors, numbers, letters and even some puzzles mixed in. Stickers used as rewards. A puzzle game that has plenty of great free puzzles of common objects (ie guitar and truck). Clever app. Starts with a picture of a balloon, you blow into the bottom of the phone and it blows up, then shake the phone to change the balloon into an animal. Push on the animal it moves; and then you can pump it up until it bursts. Great app, but beware, my toddler spit into the phone so much that it didn’t charge well for a while. Start by selecting a picture from your phone (or take a new one). Then you can pick from many different PBS characters and objects to add to the picture and finish it off with a cute frame. My kids save these to the photo library or you can email them. Another cute puzzle game that reminds me of the Melissa and Doug puzzles we have at home. My 2 year old loves this one. Pretty self explanatory; starts with a blob of color and you can change all the body parts to make a cute and wacky creature! This one is great because there a bit of learning involved. A bunch of different shapes (or colors) are presented and the game asks you to identify the correct one. Rewards with stickers. This one has 8 different types of skills ranging from colors to typing and is great. Makes cute noises too. This one is great for the 4-year-old (preschool) crowd. Starts with a letter and a train moves and shows them how to trace both upper and lower case letters with their finger. Now go...get to the App Store! Tell me about your favorite apps below! My son LOVES iphones! Granted he's 19 months old so he just thinks it's a shiny toy but he loves to hit all the buttons and watch it light up when he messes with the screen. I have a small cousin, Maura, who is about 8 and she has an undiagnosed disability and she is in LOVE with her ipad. Her parents say that it's been an amazing tool for her with all the apps available. I'm pretty sure she's got most of the apps you listed. You can read about Maura on http://www.wonderpuzzle.com/!